off with his memories while Sig and I chatted on a bench. The apartments are on Dachau Strasse, where he recalls running over a nearby hill with other children to play by the abandoned railroad tracks. Were these tracks the ones used to transport the Jews to their death? We speak the unspeakable and our hearts hurt. Thankfully the Holocaust will never be forgotten here. Schools ensure the children learn the truth about the Hitler era and the crimes of his regime against its innocent citizens. Todays Germany is prosperous, blending the old traditions while embracing modern new environmental technology. There is plenty of work for those that want it and therein lies the problem. Germany has welcomed many immigrants, some from countries that hate Israel and all Jews. Bubbling beneath the surface these tensions are creating an atmosphere for hate crimes. How Germany deals with this will show the world they are serious when they say ” Nie Wieder” “Never Again”. 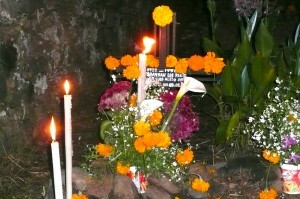 In Mexico, they celebrate Day of the Dead or Dia de los Muertos, one of the country’s most ancient and deep-rooted customs. 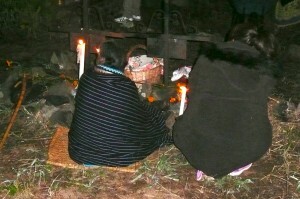 The holiday focuses on gatherings of family and friends to pray and remember those who have passed. Families prepare the very best foods loved ones enjoyed in life. 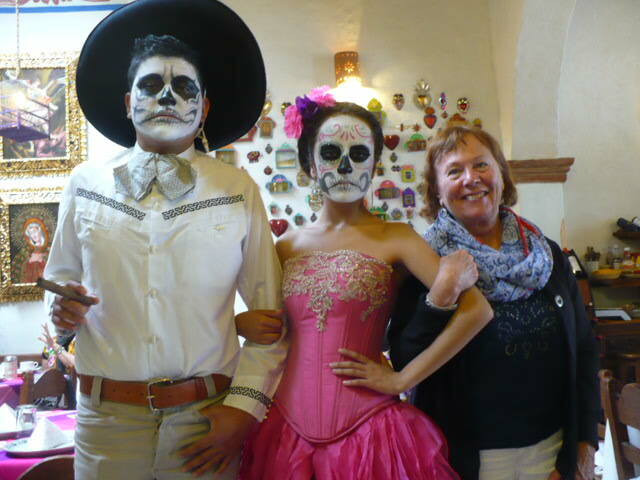 Share this fun Mexican (Halloween) tradition as Chef Lynne directs students in preparing two traditional dishes: chicken in a rich pipian sauce made with nuts and seeds and a delicious version of red mole with dumplings. 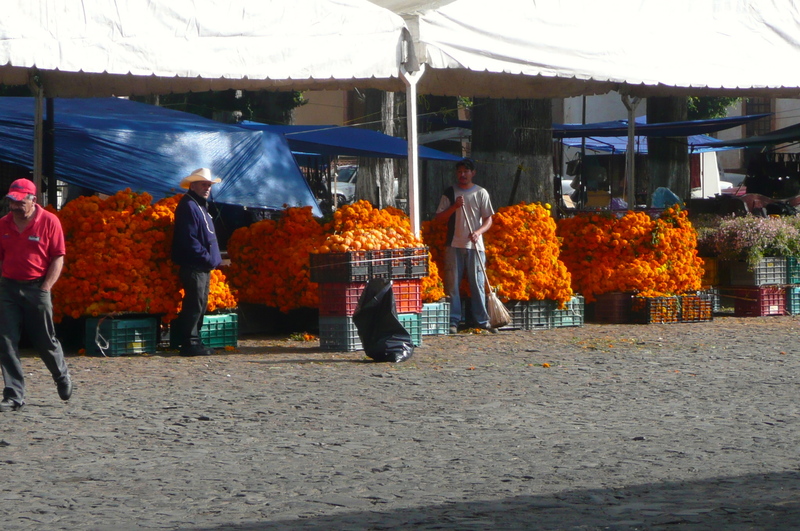 We will feast on these offerings and toast with Mexican hot chocolate and Dead Man’s bread, or pan de muerto. Some hands-on preparation. 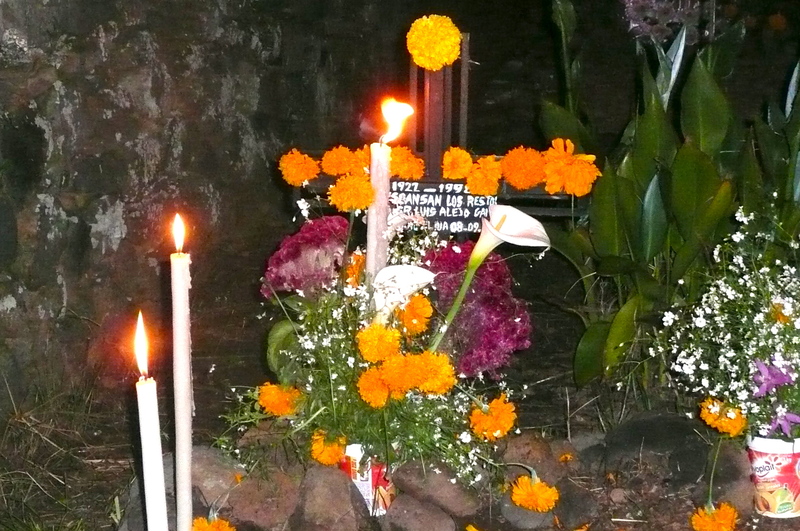 Frank and I traveled to Mexico in late October of this year. We love to experience the colorful culture, kind people, and delicious cuisine of Mexico any time of the year, but this trip had a specific purpose: to experience the famous “Dia de los Muertos”, or ‘Day of the Dead” celebration in Patzcuaro, Mexico. 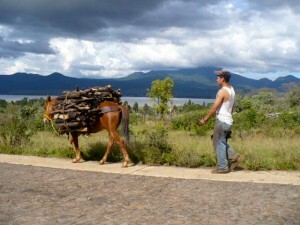 Lovely scene above lago de Patzcauro. The colonial city of Patzcuaro, Mexico sits high up in the mountains of the central western highlands. 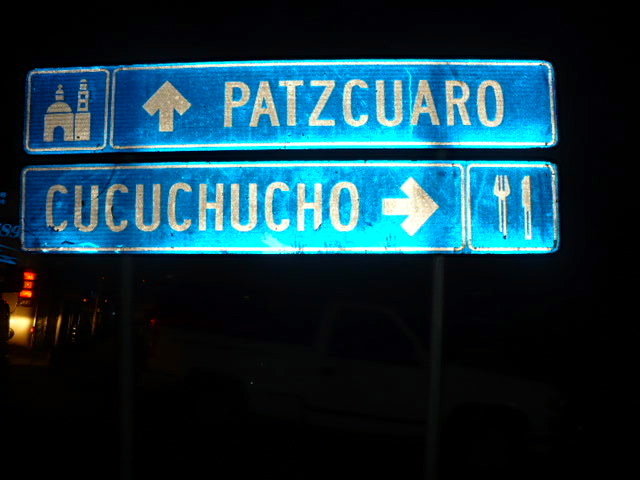 Ancestral home to the Purecepa tribe, direct descendants of the ancient Tarasca’s who believed death was a continuation of life and the dead could return each year to visit their loved ones. 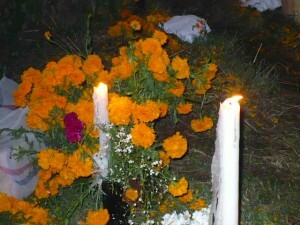 A marigold bedecked arbor in Tzin Tzun Tzan. I think I love this town because I love saying the name, TsinTzunTzan (pronounced, zin zun zan) it’s named after the sound hummingbirds make as they flit around. 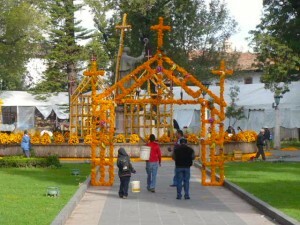 The town was completely decorated with thousands of marigolds in celebration of day of the dead. 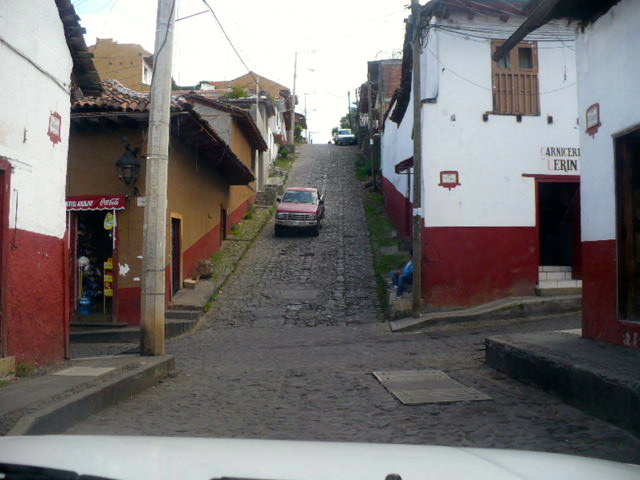 Typical cobblestone streets in our barrio. 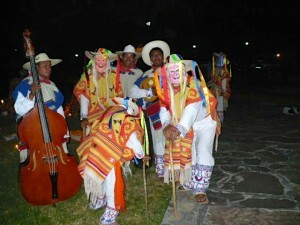 Dance of The Old Men performed during the celebration. 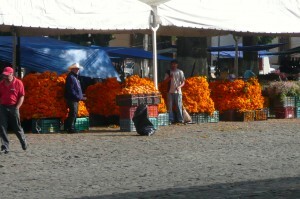 Thousands and thousands of bright orange marigolds decorate the pueblos around Patzcuaro. 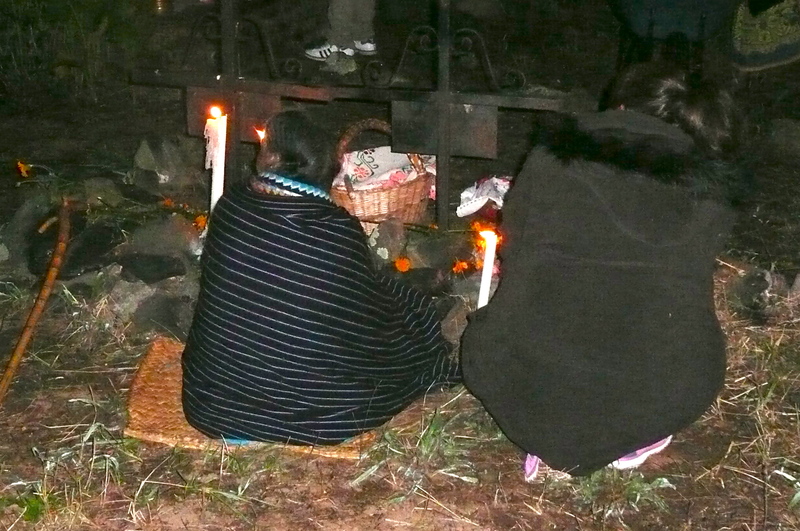 families gather to pray and talk among the graves. We are having a Tamalada at De Leons Mexican Foods! Join us for a fun evening in this hands-on class learning to make homemade savory pork and sweet pineapple tamales. We will learn to prepare a quick and easy cooked tomato salsa and corn soufflé tamales that are muy delicioso! The De Leons crew will show us how they whip up their own corn masa and their delicious fillings for the tamales. Sorry, CLASSES ARE FULL FOR THIS WEEK! Stay tuned for more cooking classes coming soon. 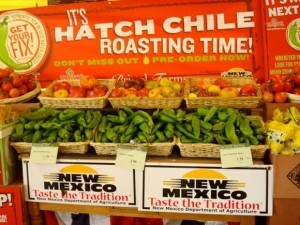 Hatch Chiles Have Arrived at De Leon’s Foods! 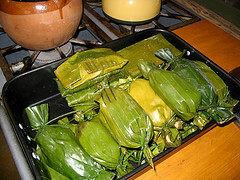 Join Mike and me for our fun and informative Hatch Chile Cooking Class. We will learn to make three of New Mexico’s favorite dishes: chile verde, green chile enchiladas, and stuff green chiles with picadillo. Serving Frank’s delicious homemade artisan green chile bread, chips and salsa, and agua fresca. Beer available. 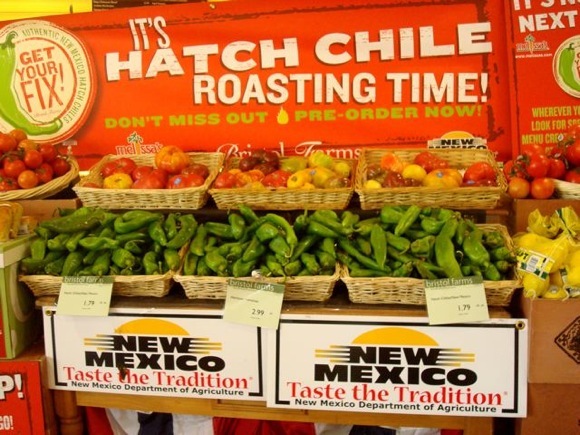 Posted in Cooking Classes, Events, Entrees (Platos Fuerte)	| Comments Off on Hatch Chiles Have Arrived at De Leon’s Foods! By popular demand, another fun and informative Carne Asada class at de Leons Foods. WHEN: Tomorrow June 19th at 5:30 WHERE: De Leons Mexican Foods, 102 E. Francis Ave. Spokane. To register, go to “classes & events” at top of page. Click pay here, submit info to PayPal. Mike Gonzalez and I look forward to seeing you there! Posted in Cooking Classes	| Comments Off on By popular demand, another fun and informative Carne Asada class at de Leons Foods. and learn more about Lynne Wiedemann from cookwithus.com and Mike Gonzales, Former ABC News anchor and founder of the Hispanic Food Network, teaming up again to bring you Mexican Cooking classes at DeLeon’s Grocery in Spokane, Washington. To sign up at cookwithus.com click on classes and events at the top of page. click on pay here, which takes you to PayPal for easy payment. Visit, learn, and Sign up!!! I rate the Best Sandwich Shack 5 stars ***** out of 5. 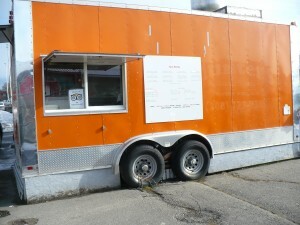 Now for Mexican food from the bright orange Taco Works truck. We ordered three steak tacos on crispy shells and one soft shell shredded beef taco. You can’t beat the price, $1.50 each and they come stuffed with everything; crisp lettuce, shredded cheese, and pico de gayo salsa with a welcome touch of fragrant cilantro and chopped onion. The veggies are fresh, the meat has a tasty charred flavor, and the corn tortilla is good. The shredded beef soft taco is served on two grilled corn tortillas, just like they do in Mexico. The meat is tender and moist made perfectly spicy with the addition of their hot tomatillo salsa ( ask for it if you like extra heat) All menu items can be ordered as combo plates with Mexican rice and re-fried beans sprinkled with queso cotijo cheese. If you love burrito’s try one of the wet ones slathered in either a red enchilada sauce or a rich mole’ sauce. Really good! 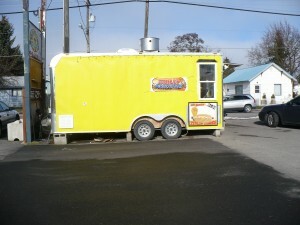 I haven’t tried the tamales, chile rellenos or the breakfast burritos, but I’ll be back for more for sure. Two of our favorite recipes featured at www.TheLatinKitchen.com! You can see the Two recipes here! Posted in Uncategorized	| Comments Off on Two of our favorite recipes featured at www.TheLatinKitchen.com! 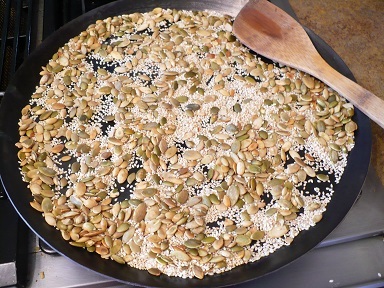 Please join me on March 17th for a very unique cooking class. In honor of St Patricks Day we will explore the Irish/Mexican connection as we prepare a fusion meal of Irish/ Mexican cookery. 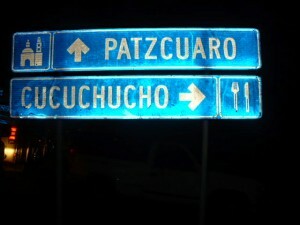 Who would imagine that there is an Irish- Mexican connection? My research on the subject led me to an interesting article by the Honorable Society of The Irish Brigade. 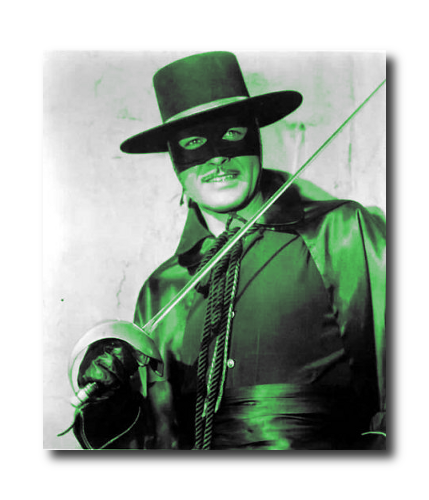 The secret is that the dashing Hispanic swordsman known as Zorro was actually an Irish gentleman of noble birth born in 1615 in County Wexford.